Sony Xperia XZ4 allegedly got an AnTuTu score of 395K! Home / leaks / mobile / sony / Sony Xperia XZ4 allegedly got an AnTuTu score of 395K! 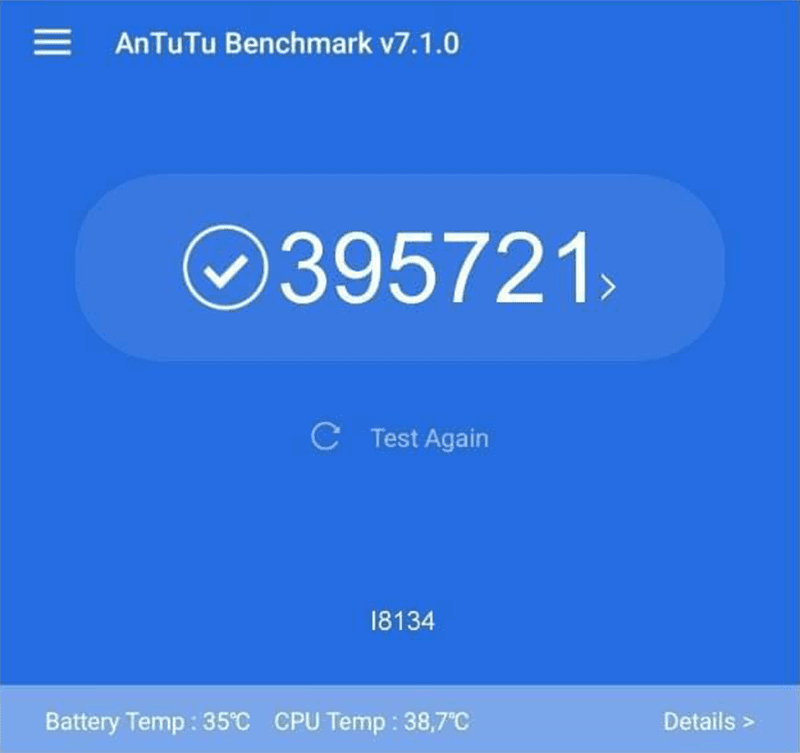 I_Leak_VN leaked an alleged AnTuTu score of a device with I8134 model number on Twitter. Allegedly, it is Sony's upcoming flagship smartphone, the Xperia XZ4. At AnTuTu, the said device got a massive score of 395,721! It this leak is true, it is the highest AnTuTu score ever on a smartphone. The current top scorers are A12 Bionic powered Apple's iPhone XS series with 360K score and Kirin 980 powered Huawei Mate 20 Pro with 310K. Previously, the Snapdragon 855 got a leaked score of 360K as well. All of those phones are using new 7nm chips. However, let us all keep in mind that benchmark results are easy to manipulate. For now, we cannot confirm the validity of this report. However, keep in mind that benchmarking results are easy to spoof and at this point, we cannot vouch for the reliability of this test. Take this leak/rumor with a pinch of salt until anything official is disclosed.